It’s Spring Break in Nashville and the city has left the premises. Those of us left behind are possibly dreaming of piña coladas in tropical locations. Today’s post features three fantastic happenings in Nashville this week to distract us from any woes! My daughters had friends visiting from out of town, and we all headed down to the Frist late one morning. (Very late, as everyone had slept in except Pepper and me.) On the third floor we found a sometimes edgy yet understandable photography exhibit (Irving Penn, photographer for Vogue, “Beyond Beauty”). On the first floor we found a delicious turkey panini. On the second floor? Buddhist art ranging from the 16th to the 20th centuries. While browsing in the gift store – I bought some stationery – the kids told me about a smaller contemporary gallery behind the Buddhist exhibit (“Stop Me Feeling,” by Claire Morgan). I went back to find it and was so glad I did. It felt like walking into a fairy tale. Why don’t I get down here more often, I wondered. Irving Penn (1917-2009) was one of the twentieth century’s most prolific and influential photographers of fashion and the famous. His pictures, a unique blend of classical elegance and formal innovation, were widely seen in print during his long career at Vogue magazine. His achievement, however, extends beyond conventional notions of depicting beauty or fame to include a radical reconsideration of how we understand fashion, photography, and art, separately and in relation to each other. This exhibition, the first retrospective museum survey to be organized since the artist’s death, describes the full arc of Penn’s photography from his early, surrealist-influenced work and innovative fashion imagery for which he is best known to the elegiac still lifes and iconoclastic late work that simultaneously incorporate and renounce conventional notions of beauty. The exhibition is arranged in reverse chronology, so that viewers can peel away layers of history, moving from the present into the past. Images of the historical Buddha (6th century BCE) are prevalent throughout the Buddhist world, as are depictions of great events from his many lifetimes, especially his miraculous birth, departure from home, attainment of enlightenment, first sermon at Deer Park, and realization of nirvana upon his final death. Secrets of Buddhist Art showcases magnificent and rare works of art from the Newark Museum’s collection, revealing Mahayana and Vajrayana Buddhist practices of Tibet, Japan, and Korea. The sections are organized nonlinearly according to five themes that intentionally transcend national boundaries, with renderings of similar subjects that encourage comparisons among regional aesthetics while distinguishing aspects unique to each area. The exhibition also features a ritually created Tibetan sand mandala that connects to the older works of art and reminds us that this is very much a living practice. If you’re available on Wednesday night, March 22nd, please join BookTV’s taping crew for a roundtable discussion of John A. Farrell’s new book, Richard Nixon: The Life. Farrell will be joined in conversation by Vanderbilt history professor Thomas Schwartz, Dean of the Ingram Commons Vanessa Beasley, and Pulitzer-Prize winning journalist and historian David Maraniss. The deets: March 22nd, 7:15 pm, John Seigenthaler Center on the Vanderbilt campus (1207 18th Ave S.). Let’s fill the place and make Nashville look good! Local favorite Andrew Maraniss (Strong Inside: Perry Wallace and the Collision of Race and Sports in the South) will also be attending, another great reason to go. JOHN A. FARRELL is the author of Clarence Darrow: Attorney for the Damned, which won the Los Angeles Times Book Prize for biography, and Tip O’Neill and the Democratic Century, which won the D. B. Hardeman Prize for the best book on Congress. He is a contributing editor to Politico magazine, after a prize-winning career as a newspaperman, most notably at The Denver Post and The Boston Globe, where he worked as White House correspondent and served on the vaunted Spotlight team. “A probing biography…Readers track the lonely and hard-won ascent of a sickly, love-starved child, who dreams like a Romantic but maneuvers like Machiavelli…An unflinching portrait.” – Booklist, Starred Review. “With clarity and verve, John A. Farrell’s deft pen illuminates the life of America’s 37th president. Unsparing yet fair-minded in its analysis and based on deep research in a wealth of archival and published sources, Richard Nixon is a fast-moving and penetrating portrait of this controversial and complicated man.” – Fredrik Logevall, Pulitzer Prize-winning author of Embers of War. 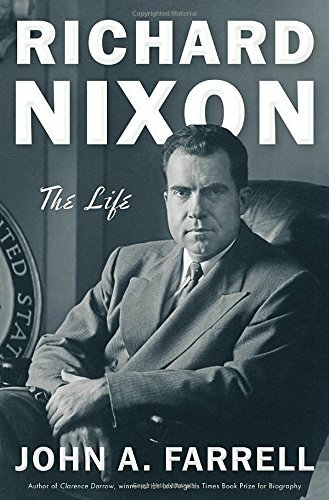 “Full of fresh, endlessly revealing insights into Nixon’s political career, less on the matter of his character, refreshingly, than on the events that accompanied and resulted from it.” – Kirkus (Starred Review). 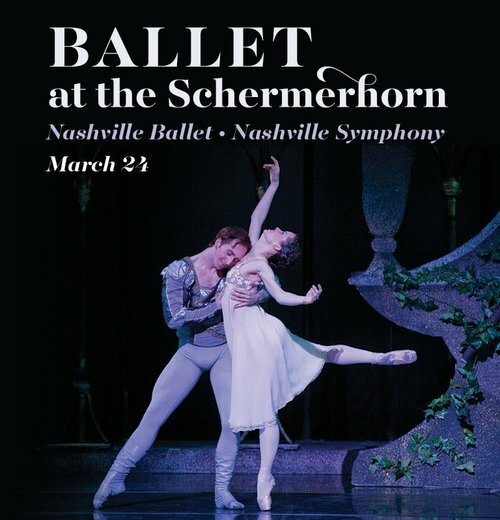 To finish the week strong: Nashville Ballet at the Symphony, Friday, March 24th, 8:00 p.m.
Nashville Ballet performs with the Symphony regularly – at each year’s Nutcracker, for instance – but always at TPAC, never at the Schermerhorn. For the first time in a public performance, Ballet dancers will grace the stage of the Schermerhorn with the full Symphony. I got a sneak peak at a rehearsal, and I’m here to tell you this is transcendently beautiful. Drop everything and go to this performance if you are able. Paul Vasterling’s original choreography brings each of these masterpieces brilliantly to life. a work of art that is considered quintessential Americana was created by a woman (Martha Graham), a gay Jewish man (Aaron Copland), and a Japanese Man (Isamu Noguchi). Three people who may have been considered “the other” created a beautiful work that sounds to us today, 73 years later, like America. My new interpretation is about otherness, family, and community. It is dedicated to the memory of my mother, Patricia Vasterling. 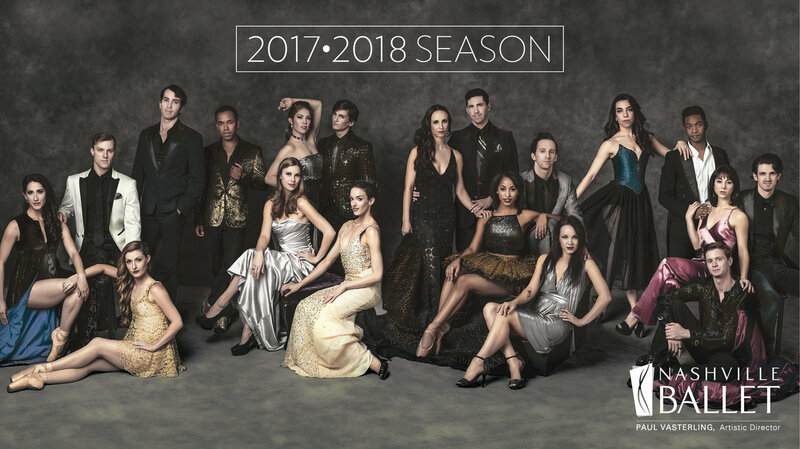 And just for fun, take a look at Nashville Ballet’s 2017-2018 season. Makes you want to stay in Nashville! I will sadly miss some of this. Good article. Thanks Jennifer…You remind us why spring break is one of our favorite weeks of the year in Nashville! So true for me too! And thanks, you too!